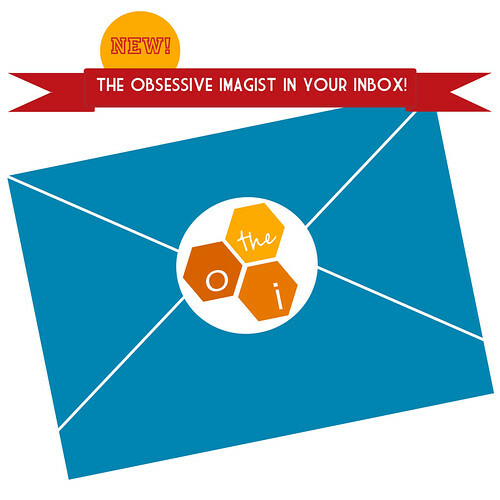 the obsessive imagist | art, design, life: PER YOUR SUGGESTION: EMAIL UPDATES! PER YOUR SUGGESTION: EMAIL UPDATES! Thanks to a kind nudge from reader Donna, I have now set up an email subscription service for the blog! If you prefer to get your obsessive fix directly in your inbox you can click the sign up link at right (under the "Want More?" heading). You will be asked to input your email; I promise it will not be shared with anyone else. After that simple step you can look forward to receiving an email every time I add a new post! Pretty cool, huh? As always, if you have something you would like to see posted or added here drop me an email or write a comment to share your thoughts. Input is always welcome!